Length 3.5 to 5 mm. A dark blackish rove beetle, the elytra may show a varying amount of red. Found in various habitats including in dung, on carcasses and in grass tussocks. 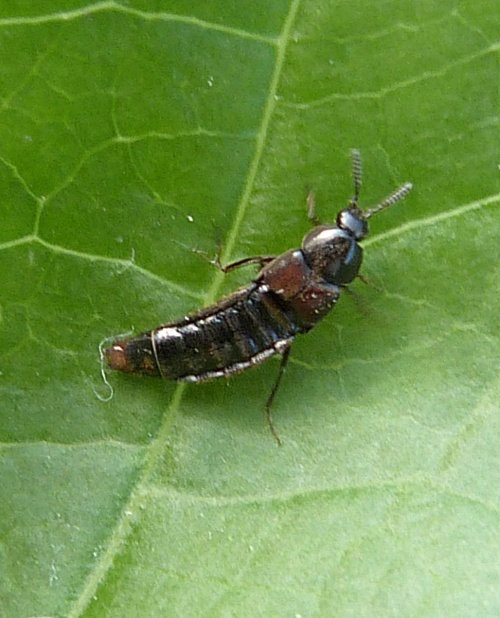 Aleochara larvae feed in the puparia of suitable species of flies, killing the host in the process. Fairly frequent in Leicestershire and Rutland. 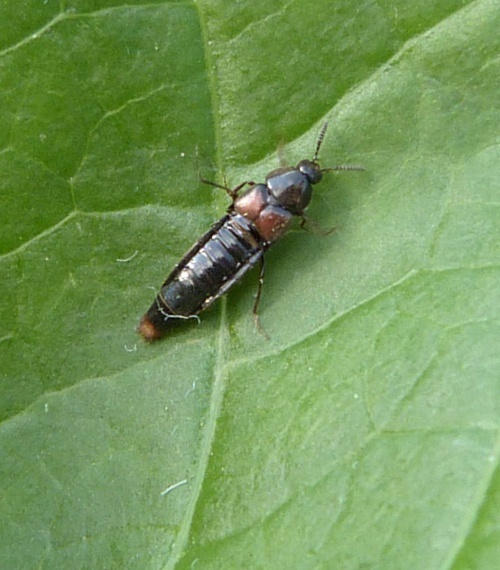 There were approximately 45 VC55 records for this species up to March 2015.